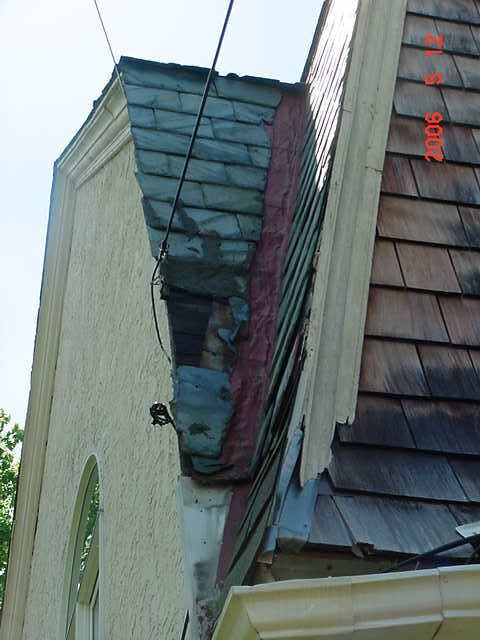 Ribbon slate roof needed to be replaced many, many years ago. One should not see the wood sheathing from the outside! Went to Pennsylvania to do this inspection for my NJ client.